When our family drove into Steamboat last winter, it was dumping snow and had been for quite some time. The drifts were piled high alongside the road and twinkling lights of Steamboat welcomed us on. The following morning was a ski day to remember. Skiing the slopes of Steamboat for the first time ever with just perfect conditions. A bluebird powder day! Finding the stashes of untracked in the trees that Steamboat is known for. Truly a day we will never forget. Steamboat, Colorado is a tried and true “mountain town” that has a long lineage of American West history. It’s also home to one of the biggest ski mountains in the country, Steamboat Resort, coming in at a whopping 2,965 acres of terrain across an entire range of mountains. We’ve already experienced the community in Steamboat; it’s real, genuine, and downright friendly. This only adds to our excitement as we host a Family Ski Day there on Saturday, February 9, 2019. RSVP and join us on the hill! For those of you who’ve been following along on our Season #1 Winter Tour, you already know that, for our family, it’s hard to have a “bad day” skiing. And, for the kid in all of us, Steamboat Resort opened the longest coaster in North America last season, the Outlaw Mountain Coaster, located just above Gondola Square. Steamboat prides themselves as being an exceedingly family-friendly mountain resort. In fact, many articles we came across online favored Steamboat for being a skiing family favorite with ample opportunities to get first access to some fresh powder or perfectly groomed corduroy. 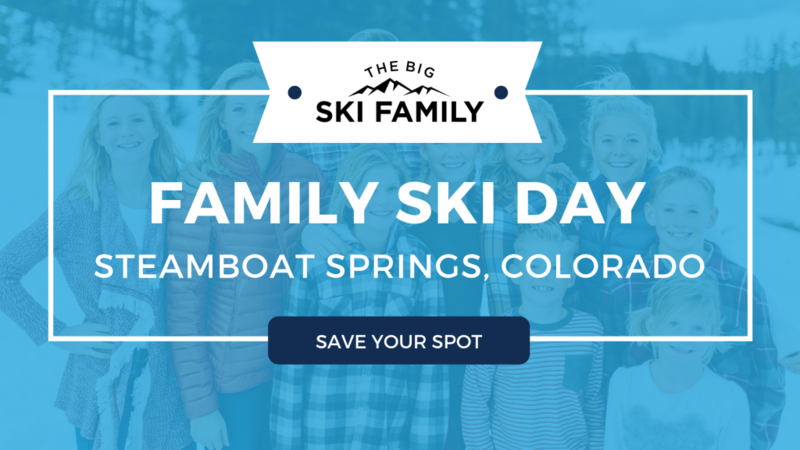 Join us as we “rock the boat” and host another Family Ski Day at Steamboat! RSVP (it’s free to join us! ), buy your lift tickets or Ikon Pass, and meet up with us for another epic day or skiing. If you see us rat packing in our neon snowsuits, stop us and say hi! Meeting all of the different people at the different resorts we’ve been skiing at is what’s made our Season #1 Winter Tour so memorable. We’d love to meet you, snap a quick photo for the ‘gram, and burn a few turns with you!